Some businesses are unsure about encouraging customer reviews or facilitating the process, partly because of a fear of negative reviews. The reality, however, is that reviews offer more advantages than disadvantages, particularly when you factor in the importance of reviews to your listings on Google Shopping. Builds trust in users. In fact, 85 percent of consumers trust reviews they read online just as much as they trust personal recommendations. Increases conversions. Debenhams, for example, increased conversions by 30 percent using reviews. Beko, the domestic appliance and electronics brand, is another example. It increased conversions by 100 percent using reviews. Makes your listings in Google search stand out from your competitors. Helps to make your campaigns in AdWords more effective. Enhances your brand page in Google Shopping. According to Google, ads that have seller ratings get a 17 percent higher CTR than those that don’t. 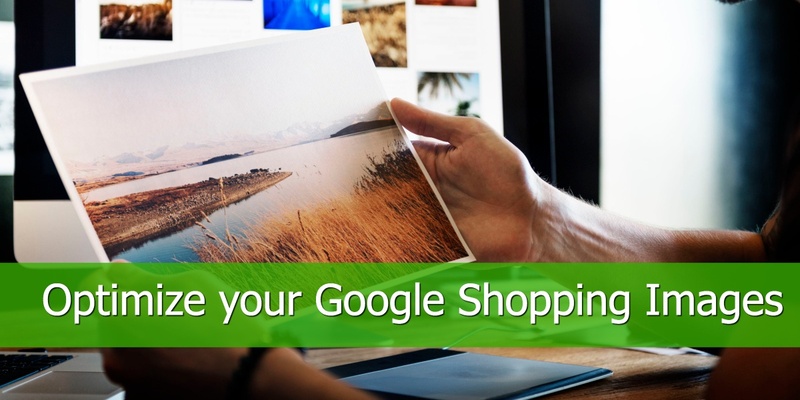 Makes your product listings on Google Shopping stand out. Let readers of reviews see your customer service in action. 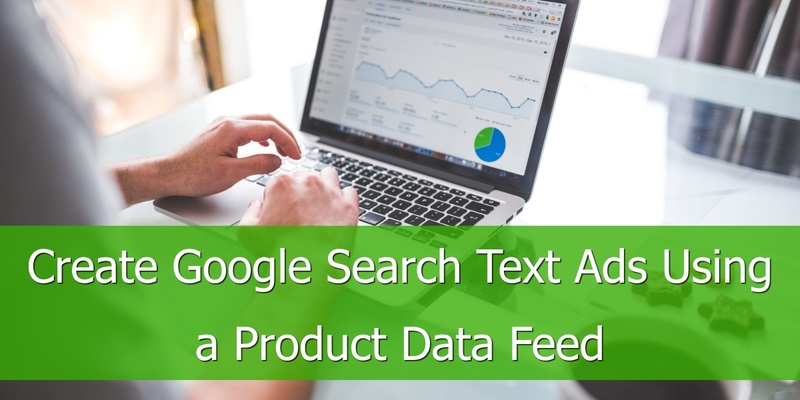 To get seller and product ratings on your Google Shopping ads as well as Google's organic search results and elsewhere, you must use a third-party service that has a partnership arrangement with Google. Google uses these third-party platforms, plus its own review platform, to gather ratings data. It then uses this data to display star ratings. Make sure the platform is a licensed Google partner. All the companies on the list below are Google partners. Not all platforms are available in all countries so check if the platform of your choice supports your country. Check the platform has a robust and transparent verification system. Make sure you can proactively seek reviews from customers. If the platform offers this option, it may only be available when you have a paid account. Check for tools that let you respond to negative reviews. We are taking a look at 33 review platforms, all of them licensed Google Partners. Not all review platforms are alike, so we would like to know which one is your preferred or you'd like to get more info about. Ausgezeichnet.org is a German review platform. 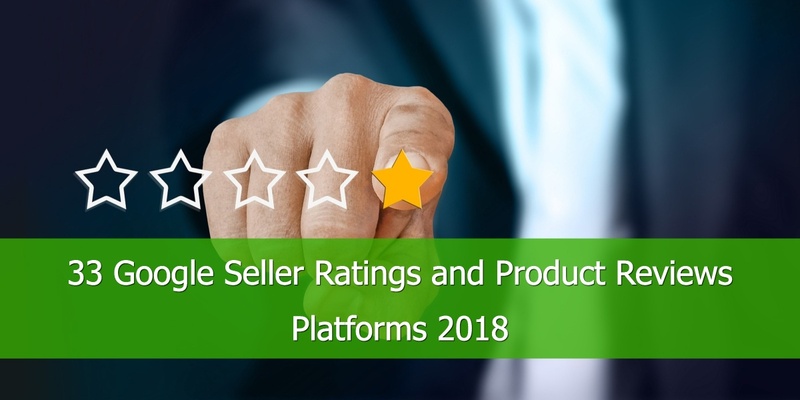 As well as offering star-ratings and reviews for Google, it also has a product that combines reviews from other platforms such as eBay, Trustpilot, and more. Pros: Good protection against false ratings plus there is an arbitration service available on some packages to deal with negative reviews. Cons: There is no free option plus the user rating system is not clear. Price: From €19.95 per month plus €39.95 setup fee. Bazaarvoice is a review platform based in Texas, USA. Half a billion shoppers upload to the platform every month and it has over 5,000 retailers and brands in its network. Pros: Powerful additional products like Q&A and Curations. Cons: Reporting not as streamlined as it could be plus the customer support sometimes takes longer than it should. Bizrate is part of Connexity and collects reviews from certified customers of signed up merchants as well as through its panel of online shoppers. It says this panel has over 1.3 million active users. Pros: It is free to participate in Bizrate and it has a sophisticated process for collecting reviews. Cons: Bizrate is closely integrated with Connexity's shopping marketplace platforms, rather than being completely focused on providing a review service to merchants. Plus, the website is outdated. eKomi is a German company that claims to be the largest independent provider of reviews and customer ratings in Europe. It has 14,000 companies that use its review service. Locations: 25+ countries including Germany, UK, France, Spain, Portugal, the Netherlands, France, and the USA. Pros: Well-established and comprehensive features. Cons: Lack of clear pricing. E-Komerco is a low-cost merchant listing platform. Users of the platform can leave reviews and comments on the merchants that are listed. It is a French company, but there are merchants listed on the platform from all over the world. Pros: Low cost and easy to add your website. All websites are manually reviewed. Cons: Very few features and minimal support. ECã ã is a price comparison website in Japan. The company has three million users and offers an expansive range of services in addition to price comparisons. Pros: Well-established and it has a large number of users. Cons: Complex model, particularly for merchants operating in North America or Europe that don't sell to Japanese customers. Feedback Company is a well-established review platform from the Netherland that offers a wide range of features. It is part of eKomi. The features available include automatic collection of reviews, manual approval of reviews to make them more reliable, Google AdWords integration, and more. Locations: Available to clients anywhere. The website is available in English, Dutch, German, Indian, Spanish, and Portuguese. Pros: Well-established and with a varied range of useful features. Cons: Some customers have reported being unsatisfied with the level of customer service received. 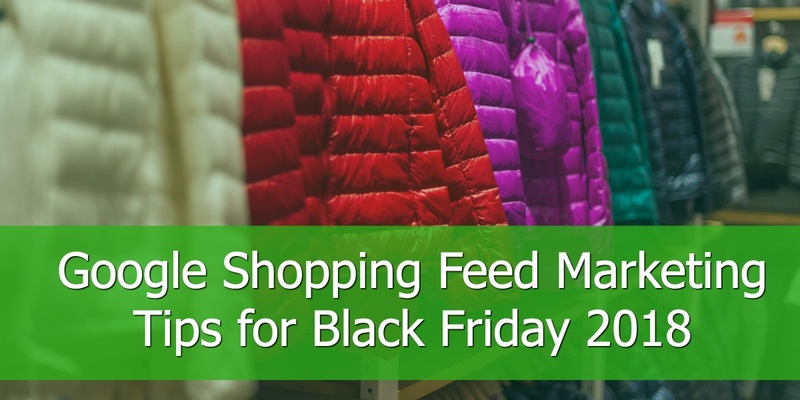 Feefo is a well-known review platform that partners with Bing and Facebook as well as Google. Its clients include Next, Vauxhall, and JCB, and it offers a range of tools in addition to collecting reviews, primarily tools that help businesses develop closer relationships with customers. Locations: Based in the UK but has clients from around the world. Cons: Some users of the platform complain they are unable to leave reviews of businesses. FIA-NET is a French review service. It works by sending satisfaction questionnaires to customers of member websites once they make a purchase. It uses the response to determine its satisfaction index. Pros: Manual review collection process to ensure authenticity. Google Customer Reviews is Google's own review service. It collects reviews from verified customers, and the service is free to use. This last point makes it stand out from most other review sites. Locations: Argentina, Australia, Austria, Belgium, Brazil, Canada, Chile, China, Colombia, Czechia, Denmark, France, Germany, India, Ireland, Italy, Indonesia, Japan, Hong Kong, Malaysia, Mexico, New Zealand, Netherlands, Norway, the Philippines, Poland, Portugal, Russia, Singapore, South Africa, Spain, Sweden, Switzerland, Taiwan, Turkey, United Arab Emirates, United States and the United Kingdom. Pros: Seamless integration with all Google products plus it is free. Cons: Doesn't offer as many additional products and services as many third-party review platforms. Hardware.info is a price comparison engine that collects user reviews as part of its service. It also tests hundreds of computer hardware and consumer electronics products every year, creating editorial reviews based on the tests. Locations: Based in the Netherlands. The website also targets users in Belgium, the UK, the US, and Germany. Pros: Long experience as it was established in 1999, plus it manually tests and reviews products. Cons: Outdated design and limited functionality. Primarily a price comparison website rather than a review platform. Heureka is one of the most popular websites in the Czech Republic. It is a price comparison website that also collects reviews from its users on the products it lists. Pros: Strong presence in the Czech Republic and it is free to list products. Cons: As it is primarily a price comparison engine, there are limited customer review-related features available. Price: Free to list a website but it operates a PPC pricing model for greater access to traffic and features. KiyOh is a marketing leading customer review service in the Netherlands. It has thousands of shops on its platform, primarily targeting the Dutch market. Pros: Effective automated review collection tools as well as the option to proactively seek reviews from customers. Cons: Some users complain about difficulties posting negative reviews. Klantenvertellen is a customer review and rating service based in the Netherlands. It is part of DTG and there are around 13,000 online retailers using the platform. Pros: Questionnaires sent to your customers are personalised and it is easy to respond to reviews. Cons: No fixed prices. Instead, pricing is based on your sector and is only determined after the free trial. Kuchikomiking.jp is a Japanese company that lets users post reviews about companies they have dealt with. Pros: Users must register before they can submit reviews. Cons: Very few tools for merchants. Osaifu.com is a "pocket money" website that lets users collect "coins" which they can exchange for gifts and other rewards. One of the ways people can collect coins is to leave reviews about online retailers. Pros: Unique approach to encouraging customers to leave reviews. Cons: Method of getting reviews not as robust or reliable as more traditional and focused review services. Poulpeo is a cash back website that offers its users cash back on purchases from partner retailers. It is based in France and there are 1,800 partner shops on the platform. Pros: Popular cash back website that has over 10,000 users a month. Cons: Lacks additional features offered by standalone customer review and rating services. 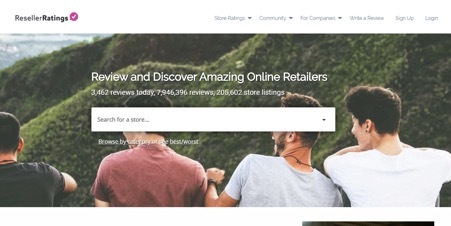 PowerReviews is a US-based review service that is used by over 1,000 retailers and brands including Skechers, National Geographic, and The North Face. It offers several other products in addition to ratings and reviews including questions & answers, analytics tools, and more. Pros: The product has a wide range of tools that the company continuously works to improve. Cons: No free trial and is priced too high for most small businesses. ProductReview.com.au has been around since 2003 and is a popular and well-known review platform. It gets 4.5 million visitors per month and all reviews are hosted on the platform. Retailers and brands can sign up to respond to reviews and get access to other features. Pros: Lots of powerful features, particularly with premium accounts. Cons: Support is only by email or online chat and response times are only guaranteed within 24 hours. 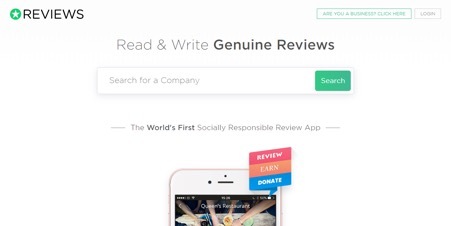 ResellerRatings collects verified, organic, and anonymous reviews on brands and products. You don't have to be part of its network, but you get additional tools as a paying member. There are almost 3,500 brands and retailers who currently use ResellerRatings. Pros: Excellent tools for both collecting reviews and connecting with customers when you are a paid member. Cons: Some members report high costs while others dislike the unverified reviews that ResellerRatings allows. Price: Free demo available and price on quotation. 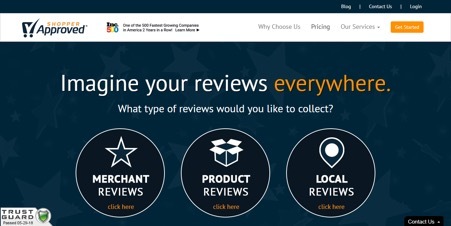 Reviews.co.uk is a UK company that lets you proactively collect reviews from customers who shop on your website. The platform is only available for paying members, but it does offer a lot of features including reputation management tools, review photos, in-store reviews, and more. Locations: Functionality only available in English so the main target countries are the UK, the USA, Canada, Australia, and New Zealand. Pros: No long-term contracts and good reporting functionality. Cons: Google Seller Ratings are available on the lowest price plan, but you have to buy a bigger plan to also get product reviews. Some users also complain about difficulties publishing negative reviews. Reevoo is a well-known review platform, particularly in the UK. It works with brands like Volvo, Money Super Market, British Gas, and Hyundai, and offers other products in addition to reviews. This includes solutions for generating customer conversations and creating more engaging customer experiences. Locations: Used in more than 60 countries with the website available in English, French, Italian, Spanish, German, Portuguese, Turkish, and Russian. Pros: Well-established with feature-packed products that are easy to use. Cons: The website doesn't give any information about a free trial plus some users complain it is hard to leave negative reviews. Shopper Approved has products available that let you collect merchant reviews, product reviews, and/or local reviews. Those reviews can then be displayed on Google as well as Facebook, Twitter, Bing, Yahoo, and more. Over 7,000 companies use the platform. Pros: No contracts plus it is quick and easy to set up. Cons: Includes a veto tool that lets merchants remove reviews "as a last resort option in extreme cases". While many merchants will like this, some don’t, and consumers complain about it too. 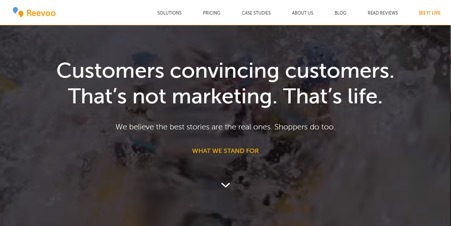 On the plus side, Shopper Approved is open about the tool and takes time to respond to negative reviews about its platform, explaining the purpose of the tool from its perspective. Price: Pricing starts at $199 per month and is based on the number of reviews and ratings collected. 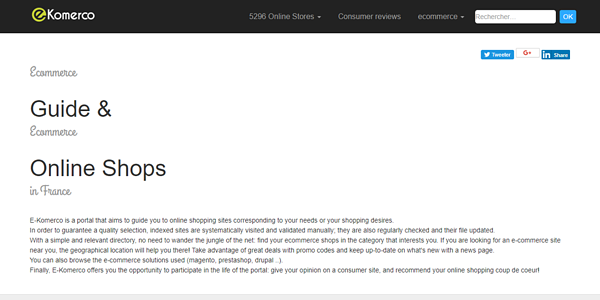 ShopVote.de is a review platform from Germany. It offers its standard features free of charge. Unusually, this includes passing reviews to Google for ratings in AdWords and reviews in Google Shopping. Premium features have additional charges, including passing stars information for Google's organic search results. Locations: Primarily Germany although it offers English language features too. Pros: Cost-effective, even when you factor in premium features. Cons: Some users complain it is difficult to leave reviews, particularly in relation to the restrictions ShopVote.de puts on some email addresses, i.e. even if the email address is verified, it might not be accepted. Price: Free for a large number of features but for stars in Google’s organic search results, the cost is €89 a year. 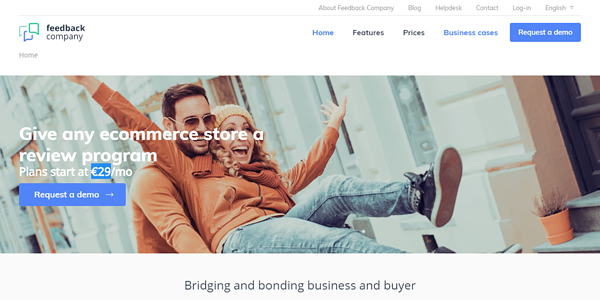 ShopAuskunft is a German review collection platform. As well as offering review services, merchants are also promoted on the platform, plus it offers additional services such as integration with your website and marketing tools. Pros: Cost-effective use-based pricing plus it is largely trusted by consumers. Cons: Limited free version making evaluation difficult plus not as many features as some other platforms. Price: Free for the first 30 reviews. Premium pricing plans based on the number of reviews you expect per month. This starts at €99 a month plus a one-time setup fee of €19. This package gets you 50 reviews per month. StellaService is a performance management tool aimed at companies with sales agents. One of its products is called Stella Connect which uses software to capture reviews on the performance of agents. StellaService also offers a mystery shopping product. So, merchants don't buy a review service with Stella Service. Instead, the pay for access to data which is partially collected via reviews. Pros: Very robust system as it uses secret shoppers which StellaService employ to make purchases at online retailers and then objectively rate the experience. Cons: This is not a traditional review service, so you can't display the reviews it collects on your website. You can, however, add a StellaService trust seal to your website. TrustedCompany gives you all the tools required to collect and display reviews on your website. Premium plans include seller ratings for Google AdWords integration, plus it offers product reviews and more. Pros: Well-established and extensive experience in Southeast Asia and India. Cons: Fewer additional products than some of its competitors. Price: There is a free plan and premium plans start from $150 a month. Trusted Shops offer a customer review product but its main product is its Trustmark. If merchants meet its criteria and sign up to its basic package, they can then display the Trustmark on their website. Trusted Shops then offers consumers a money-back guarantee when they shop at merchants with the Trustmark, up to a value of €2,500 per purchase. Pros: The Trustmark and guarantee are unique with research showing they increase conversion rates. Cons: Minimum contract of 12 months and does not offer as many customer review features as other, more specialised platforms. Price: €99 one-time setup fee plus a monthly charge based on annual turnover. The lowest cost option is €39. Trustpilot is one of the most highly visible review platforms on the internet as it regularly features on Google search results pages. It is an online review community where users can review any business. In addition, merchants can sign up for a package which gives additional features. Pros: Very well-established plus the free package offers a lot of useful features. Cons: Some users complain about the difficulties they face posting negative reviews about Trustpilot customers, while press reports have covered stories about companies being able to purchase fake five-star reviews. Verified Reviews is a platform that helps you get reviews from customers whether they purchase from you online or in-store. It also offers a number of additional services including a mediation procedure for negative reviews, reports, social media integration, and more. Pros: Easy to use interface and a proactive customer support team. Cons: Some customers have reported integration problems with website platforms and other third-party services when setting up Verified Reviews. Price: From $99 per month plus there is a free 15-day trial available. Yopi.de is a German price comparison website which also has an operation in Thailand. As well as comparing prices, its users can leave reviews for products and merchants. It doesn't offer a review product for merchants, but you can pay to advertise on the website to make your business more visible to Yopi.de users. Pros: Gets 100 new reviews a day and lists over one million products and services. Cons: Outdated design and a smaller community of users than some other price comparison websites. Yotpo is a platform that lets you collect reviews from your customers, although it offers several other products too including Visual Marketing and Consumer Insights. Its Reviews & Ratings product has a limited free option which does not include Google integration. For Google integration and other features, you need to buy a premium plan. Locations: Worldwide but primarily aimed at US customers. Pros: Customer support is very good, and the front-end appearance is professional. Cons: The platform is more difficult to use than it should be, plus some users have complained it slows down their website. Price: By quote but there is a Growth Plan available for small businesses costing $29 a month. Zoorate is an Italian review platform that helps you collect and verify reviews from online customers. Its reviews and ratings product is called Feedaty. In addition, it also offers a customer experience management tool. Locations: Italy but the website is also available in English. Pros: Very powerful features and strong in the Italian market. Cons: No free trial, plus there are some people who have reported concerns with the review certification process. Add Product Ratings on Google Shopping - Learn how product ratings make your listings in Google Shopping stand out but they also help you build trust with potential customers, improve your visibility in search, and increase on-site conversions. Get Started with Seller Ratings on Google Shopping - Seller ratings on Google Shopping give buyers an overview of how past customers viewed their experience of buying something from you. 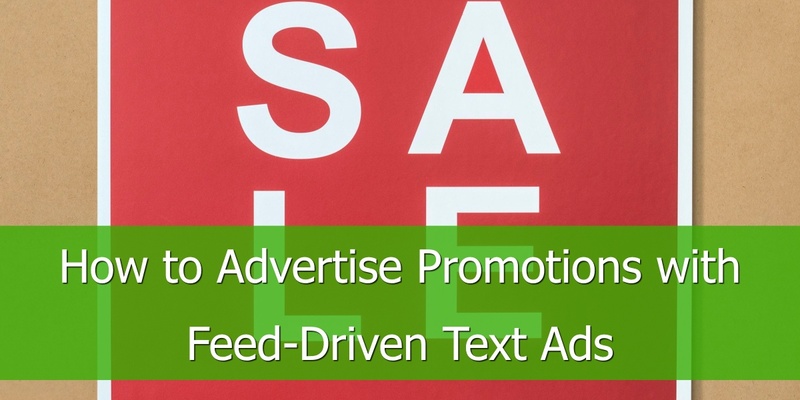 They take a split second for a customer to read, and can result in you getting a sale or not. 6 Smart Ways to Improve your Seller Ratings on Google Shopping - Learn how to be proactive and take the steps that will increase the likelihood of receiving customer reviews. As you can see, there is a wide variety of options to choose from when it comes to review platforms for Google Shopping. Some are price comparison websites rather than standalone review and rating platforms, for example. There are varied options depending on your location too, the additional products on offer vary from provider to provider, and pricing varies as well. One thing you can be certain of, however – your product listings on Google Shopping will perform better when you embrace reviews, particularly if you use a dedicated reviews and ratings platform. DataFeedWatch is data feed optimization and management software that enables merchants on Magento, Shopify, Volusion, 3Dcart, BigCommerce, WooCommerce, OpenCart, VersaCommerce, and numerous other shopping carts to optimize their product data feed for Google and 1000+ Shopping Channels in 50 countries. The most intuitive and easy data feed management and optimization tool on the market. Free trial and live demo available. Monica Axinte is the VP of Marketing for DataFeedWatch.